Ron Abuelo is a single estata Panama rum available in a variety of ages and vintages. 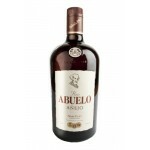 Ron Abuelo Anejo 12 Anos Gran Reserva is a 12 years old Panamanian rum which won two gold medals ..
Ron Abuelo Anejo 7 Anos Reserva Especial is a 7 years old Panamanian rum matured in ex-whisky and.. 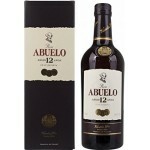 The Ron Abuelo Anejo Reserva Especial is the youngest Ron Abuelo rum from Panama. A 3 years old r..